Lake Pointe Village, a 55+ community here in Mulberry, Florida, is home to over 300 vibrant and active residents. 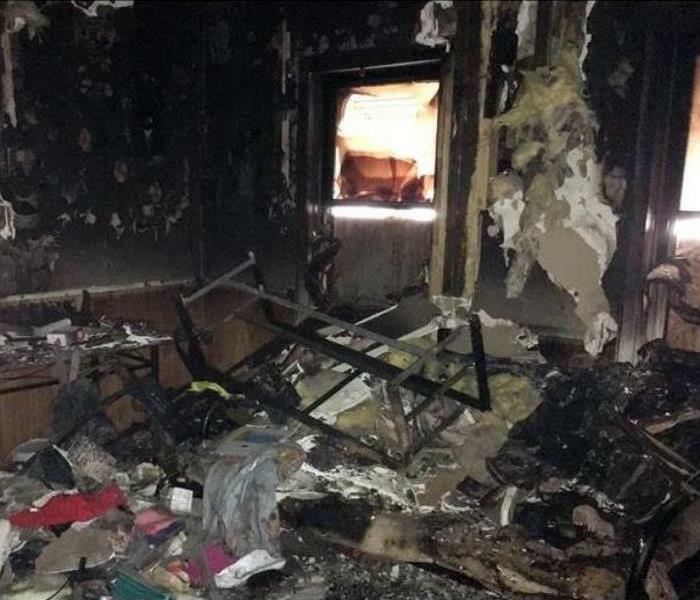 We had the great honor to hear amazing success stories from the residents that started out as a catastrophe and ended "Like it never even happened." 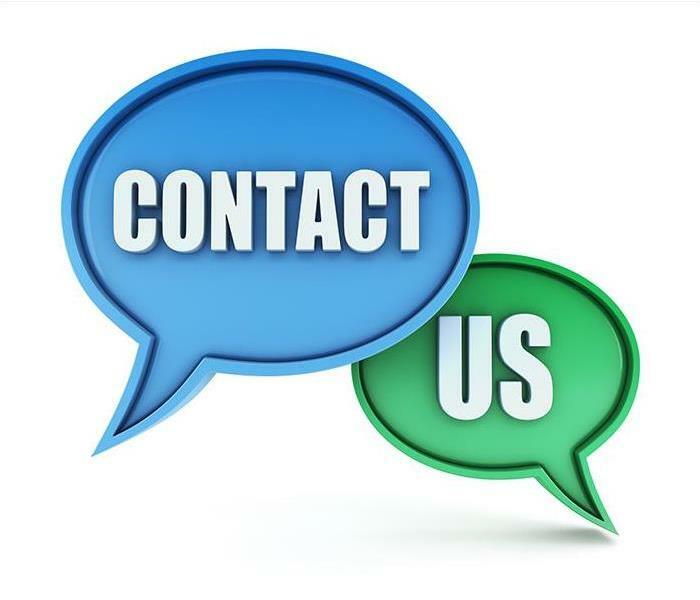 From Massachusetts all the way to Mulberry the stories were nothing but success and excellence. 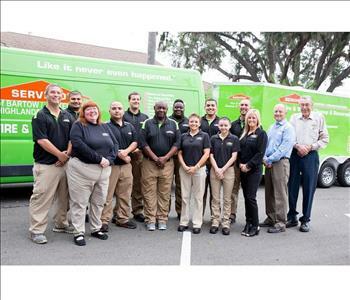 What a privilege to be a part of the premier company in the cleaning and restoration industry. 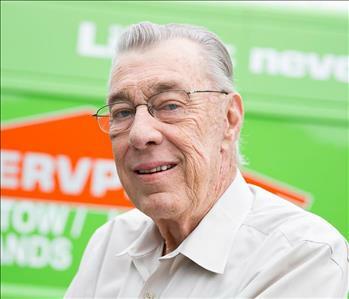 "SERVPRO", "Like it never even happened." 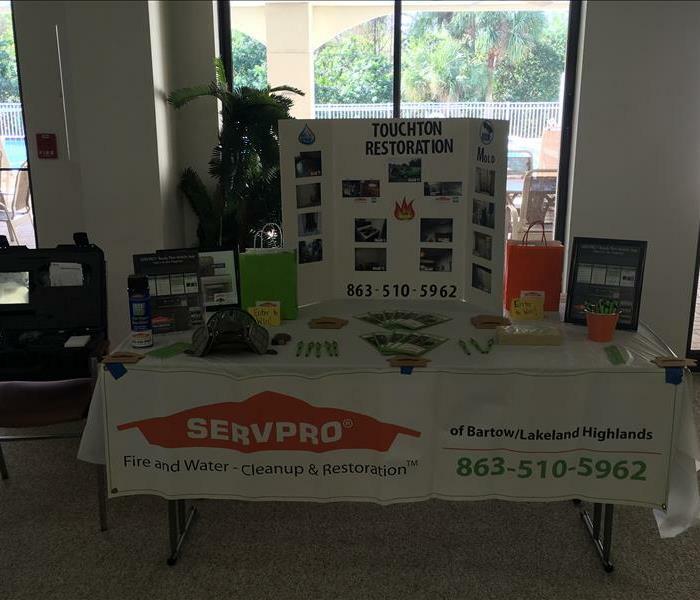 Lizbeth Engle and Monica DiNicolantonio from SERVPRO of Bartow/Lakeland Highlands get together for a quick picture between Speakers at a recent SERVPRO Area Meeting. It was a very productive day, and there was a lot of valuable information shared. 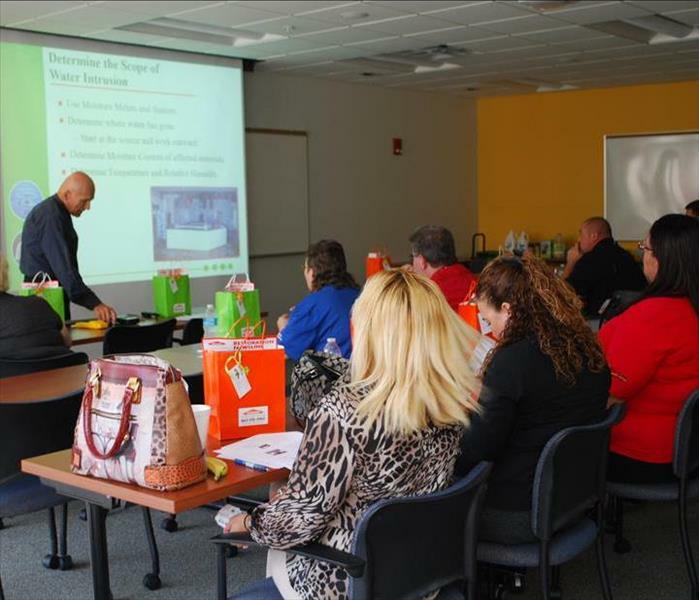 August 24, 2015: SERVPRO of Bartow/Lakeland Highlands hosted a Continuing Education Course, titled Restorative Drying for Loss Control. 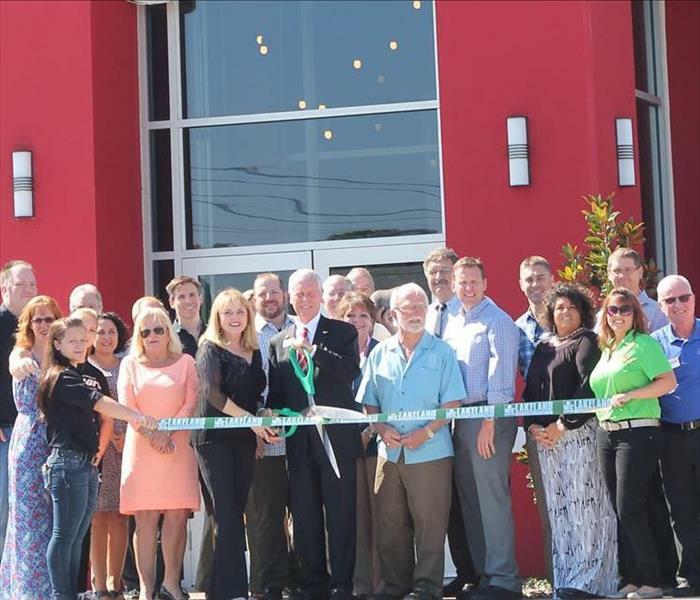 2015: Monica DiNicolantonio (far right), from SERVPRO of Bartow/Lakeland Highlands, participated in the Ribbon Cutting for Square 1 Burgers. 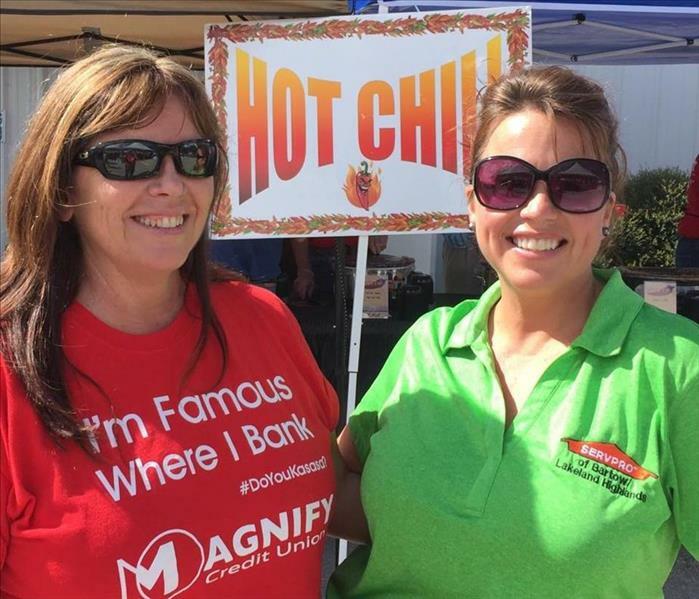 Melanie Klimas of Magnify Credit Union and Monica DiNicolantonio from SERVPRO of Bartow/Lakeland Highlands are enjoying an afternoon of sampling the chili entries at the Annual ACT Chili Cook-Off, benefiting the United Way of Central Florida. 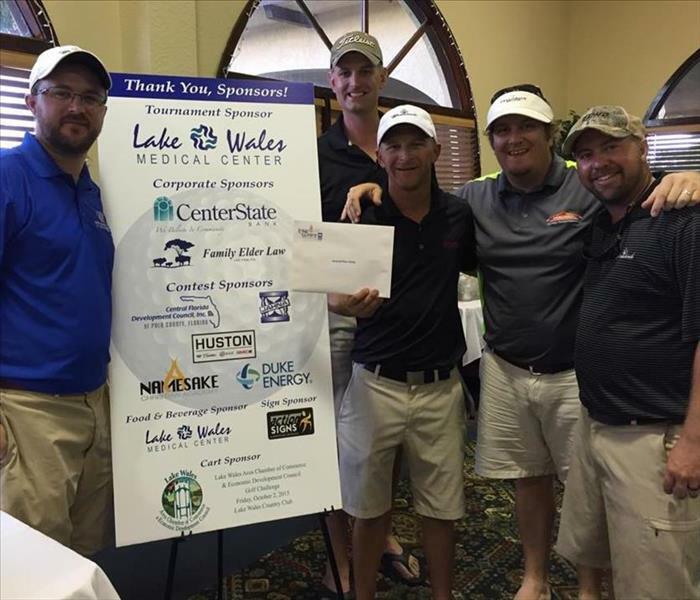 Congratulations to Team SERVPRO of Bartow/Lakeland Highlands for coming in 2nd place at the 2015 Lake Wales Area Chamber of Commerce Annual Golf Tournament! Pictured are: Ben Badcock, Gene Eanett, AJ Tomlinson, and James Piney.